The world is careening towards an inflationary shock. As was the case with the beginning of the Housing Crash, few are noticing what’s happening. And even fewer realize the true scale of what’s about to take place. Below is a chart you have to see. This chart shows the Producer Prices Index for the four largest economies int he world: the US, the EU, China, and Japan. Note, that Producer Prices are SPIKING in all four economies. Put another way, a full 66% of world GDP is currently experiencing a spike in prices. Inflation is already rippling through the economy. Because the Bond Bubble trades based on inflation. 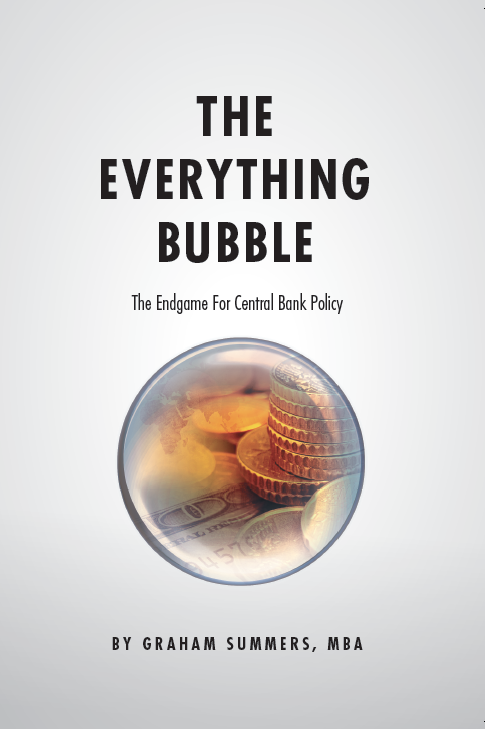 And when bond prices fall, the Everything Bubble bursts. Take a look at the chart for the 10-Year US Treasury. We’ve already taken out the bull market begun in 2007. 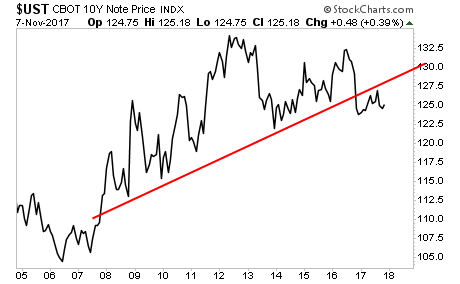 The single most important bond in the world is tracking lower just as housing prices did in 2006 before the housing bubble burst. Put simply, BIG INFLATION is THE BIG MONEY trend today. And smart investors will use it to generate literal fortunes. THAT is the kind of potential we have today. And if you’re not already taking steps to prepare for this, it’s time to get a move on. 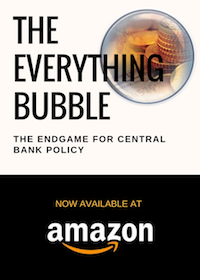 Why Would the Fed Launch QE 3?